Subs — Detroit Pizza: The Best Pizza in Battle Ground! 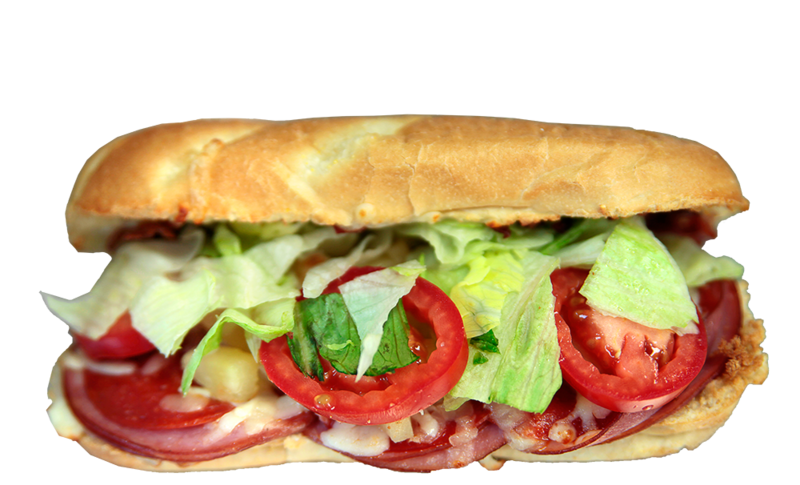 If you’re looking for packed flavor and portability, then you’re going to love our Subs. We load our sandwiches with the best local meats, gourmet cheeses, and fresh veggies. If you want our classic pizza flavors to-go, try our Calzones! Our own creamy garlic sauce, tender grilled chicken, crispy bacon, fresh sliced mushrooms, mozzarella, red onions, lettuce & tomatoes. Canadian Bacon, Pepperoni, Crispy Bacon, Pineapple, Lettuce, Tomatoes & Mayo. Salami, Pepperoni, Canadian Bacon, Mozzarella, Black Olives, Red Onions, Lettuce, Tomatoes & Mayo. Crispy Bacon, Mozzarella, Lettuce, Tomatoes & Mayo. A delicious pizza turnover filled with your favorite combination of ingredients. Come hungry For this one!